Hi. May I have some informatıons about the stone Vesonite? I couldn't find it on your website. Thanks! Thank you for reaching out to us to learn more about Vesonite. Vesonite is also know as Idiocrase or Vesuvianite...they are all the same crystal that are found in the deposits from the volcano Mt. Vesuvius. We do carry this crystal under the name of Vesuvianite. 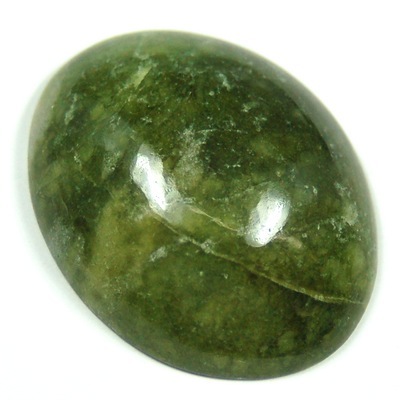 Vesonite/Idiocrase/Vesuvianiteis a natural crystal that helps you to find your true calling in life and live it. It works with your Heart Chakra and helps you to align your emotions with your desires and actions. It is excellent for reducing any fears that might hold you back from realizing your best life. It will also help you to envision where you want to be and then manifest that into reality. If you would like more information about this crystal just click on the link to take you to our page on Vesuvianite. As always thank you for your support of Healing Crystals.com. I hope that I have been able to help. I will look forward to hearing from you again soon!